Heads up, seat sale hunters! 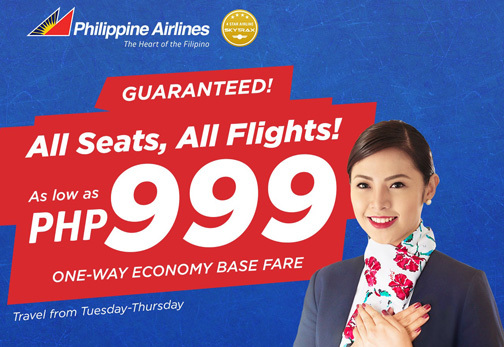 PAL has an ongoing All Seats, All Flights promo. You have until tomorrow to book discounted Economy seats in Philippine Airlines’ domestic flights. The country’s flag carrier and only 4-star global airline has an ongoing All Seats, All Flights promo wherein Economy seats in select domestic flights are priced at discounted prices. Through this promotion, PAL caters to those craving a scrumptious inasal food trip in Bacolod or wanting to explore the sought-after beaches of the Gigantes Islands in Iloilo. Travel period is from Feb. 1 to March 31, for travels from Tuesday to Thursday.